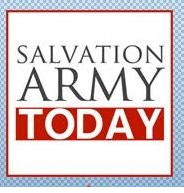 "A Salvation Army major, Philip Wise, 40, was shot and killed in front of his wife and three small children Christmas Eve as he walked into the organization's North Little Rock headquarters. North Little Rock police said Wise and his children were approached by two gunmen, both black men dressed in black, who demanded money and then fatally shot the officer. Police said Wise had money from the day's collections with him when he was attacked.The incident happened around 4:15 p.m. Thursday as Wise, and his three children, ages 4, 6 and 8, were walking into the North Little Rock Community Center at 1505 W. 18th St., where the Salvation Army is also located." "Both Muslims and Christians can practices their faiths – without being discriminated or persecuted – even if they don’t have a minaret or church tower. Iran has officially conveyed threats against Switzerland because of the recent referendum. Iran is complaining about lack of religious freedom in Switzerland! What? That’s like hearing Hitler accusing Churchill of not fighting anti-Semitism in Britain. Any person in Switzerland is free to go to a mosque or a church. An Iranian Muslim is not allowed – by the authorities - to even enter a church building in Iran. Religious liberty in Iran is like rain in the Sahara: not common, not frequent, not widespread." From the blog of the Territorial Commander in the Australian Southern territory. "We currently have a total of 174 Corps in the Australia Southern Territory, and all our mission centers are doing some great Kingdom work – but God has stirred us to launch a campaign to intentionally and significantly increase this total. History has shown us and our conviction remains, that starting new corps or local centers for mission is the most effective means of fulfilling the great commission and bringing people to Jesus. Our initiative is called 210 in 2010. By the end of next year we want to have 210 corps. Divisional Commanders have identified great possibilities for new corps, opportunities for planting and growth across the Territory. 210 is an increase of 36 corps, but the leaders of the Territory, including Divisional Commanders and the Cabinet, have considered the potential of starting one corps each week next year – that’s 52 corps. This will require significant commitment from all of us as we pray, envision, recruit, invest, and support these new initiatives."